My track record on decisions as they relate to ownership and management of the Red Sox is, at best, suspect. I was not a fan of the new ownership group when they came in. I was not in favor of Theo’s promotion. And I was not supportive of his first managerial hire, a man who had failed with the Phillies. Two world series titles and a nine plus season sellout streak later, and I think it’s safe to admit that I was wrong on all counts. Over the past decade, in fact, I’ve come to appreciate – and in the case of Francona, genuinely like – all of the above. My previous judgements notwithstanding, I believe that the hiring of Bobby Valentine as Red Sox manager is a mistake, one that will not end well. I was appalled yesterday to hear Glenn Ordway and Michael Holley of WEEI argue that Red Sox fans would love Valentine. I think he’s the definition of an overreaction to the events of last season, and a decision we’ll come to regret. My primary concern isn’t performance; the role of the manager in modern baseball has substantially less impact on a club’s fortunes than, say, an NFL head coach. But Bobby Valentine is a mistake for the following reasons. If Bobby Valentine is smart – and even his critics will grant him that – he’s thinking short term. He’d be foolish to do anything else. With a two year contract, he’s on a short leash. And at 61 years old, it’s not clear that he’ll get another managing opportunity should he fail or underperform with the Red Sox. Nor can he expect much patience from ownership. Having missed the playoffs two years in a row, and following the September implosion, John Henry and company are desperate for a winner. There’s nothing wrong with wanting to win. Desperation, however, leads to good decisions infrequently. If it’s true that Jose Iglesias is Valentine’s preferred shortstop – and his comments on the matter have done nothing to dispell these rumors – Valentine is indisputably thinking short term. Iglesias’ history demonstrates conclusively that he’s not ready for the major leagues offensively, and even Valentine has admitted that in the American League East carrying an automatic out on the roster is not realistic. Because of injury, Iglesias has been limited to essentially a season’s worth of professional at bats. Over those 671 plate appearances in the minors, Iglesias has put up a .261/.308/.316 line. ZIPS projects that to a .600 OPS player in the bigs; Bill James, usually an optimistic projection, sees Iglesias putting up a .554. Almost eight times out of ten, then, Iglesias will be out. The front office has been clear that Iglesias needs more time, understanding that he’s not ready and that the failure he will almost certainly experience in the bigs could set him back. Valentine appears unconcerned about this, presumably because he’s thinking less about what Iglesias will be doing for the Red Sox four or five years from now and more about him saving pitchers’ runs this year. A manager who is fundamentally misaligned with the front office strategy is a problem, particularly when that strategy has been effective over a multi-year period. It is commonly understood that apart from the last roster spot or two or players coming off of injury, spring training is not a useful evaluation tool. Rosters are variable, players may be more focused on getting their work in than results, park factors are in play and so on. Year after year, we’re handed fresh evidence that spring training performance is not predictive. Which is why it’s odd that Valentine is attempting to exert control over the roster based off of spring training performances. These games are an insufficient sample size for Valentine – whatever his baseball acumen – to make predictive judgements on players. If the front office – with its years of experience and scouting of the player – believes that Iglesias should open the season in the minors, for example, why would Valentine use a handful of spring training at bats to conclude otherwise? Or if the decision was made in the offseason to try Daniel Bard as a starter, why would you let six starts persuade you otherwise? Valentine’s known for his self-confidence, but it would seem clear that he lacks the data to credibly contradict the front office strategies. But when you consider that he regards his observations as facts, his assertions make more sense. One of the things Francona was widely praised for during his tenure with the club was his handling of the media. Whether his deft touch was born in the harsh climate of Philadelphia or born with him, Francona had a knack for interacting positively with the media while being respectful of his opponents and shielding his players from criticism. From a media perspective, he may have been frustrating in spite of his genial nature, because he never really gave you the soundbite you were looking for, the off the cuff, controversial quip that would enrage callers and light up the talk show phone lines. Everything he said was deliberate and considered for impact: how will this answer affect my players? How could this be misconstrued and bent to another purpose? To have that approach and yet maintain cordial relationships with media members is hard, but Francona handled it with apparent ease. Everything that Francona did, Valentine does not. And the media (self-admittedly) loves him for it. He gives them exactly what they need: controversy. The kind of controversy which drives pageviews, sells newpapers and makes the talk show host’s job easier by having callers fill their airtime. More than living up to his reputation as the managerial equivalent of Curt Schilling – one always chasing the red lights of the cameras – Valentine is willing to expound at length on anything and everything, or anyone. Already in spring training he’s generated controversy by falsely claiming that Jeter and the Yankees didn’t practice the flip play from the 2001 ALDS, for getting involved in a spat with Ozzie Guillen and for making an issue of the Yankees’ decision to end a contest in a tie. Some of these issues might be, as Valentine claims, overblown. But it’s difficult to imagine any of them occurring if Francona was still in the dugout. 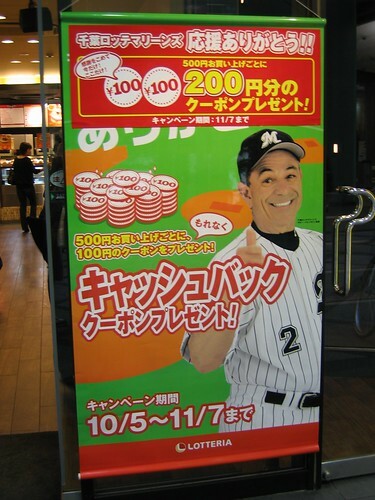 That Bobby Valentine is a controversial is inarguable; even he would probably acknowledge the perception. The question is whether generating controversy is likely to have a positive impact on the Red Sox, and just as importantly for this ownership group, perceptions of the Red Sox. It seems probable, given both how outspoken he is and the volume of statements he generates, that he will periodically embarrass the club. Francona was the very definition of uncontroversial, and the Red Sox sold out nearly every game in his tenure. It’s not clear how the controversy Valentine generates can improve upon that situation. Valentine’s assertion this week that in 3,000 games he’s never criticized a player was fascinating for the level of insight it provided into the level of the manager’s self-confidence. According to Valendine, public identification of a player’s failure or lack of performance isn’t criticism; it’s merely a statement of fact. Leaving aside the obvious problem with his argument – whether he thinks something is criticism is less important than whether the player perceives it as such – the real question is what the upside is to his candor. Ostensibly, it’s to help his players achieve “excellence.” And if he was candid in private with the player, the approach would be understandable. But talking candidly with assorted media members about player failures – what he argue are merely “facts” – seems less likely to motivate a player than to inspire resentment. Making matters worse is the fact that Valentine is, in this respect, a polar opposite from Francona. Whether you believe Francona over-protected his players, it’s difficult to build the case that completely reversing course is likely to help morale. You don’t have to believe that Francona’s approach was entirely correct to understand that Valentine’s approach may be less than optimal, particularly for a team of verteran personalities, and egos. Have to admit, every time Bobby V. does something remotely unorthodox, I catch myself wondering whether it’s for show. While his smartest-guy-in-the-room vibe occasionally rubs me the wrong way, one of the things I admire about Tampa’s Joe Maddon – who incidentally was the runner up to Tito for the Red Sox job – is his willingness to be creative. Bill James’ greatest contribution to the world may well be his insistence on questioning everything: to evaluate, quantitatively, each and every assumption. To ask ourselves how we know something is correct, if we haven’t actually tested. Maddon is perhaps the most prominent disciple of this mindset managing today, because while some of the things he does – infield positioning, for example – seem unorthodox, they’re generally driven by data. “Generating power. It’s why guys do it,” said McClure, who noted that the windup allows pitchers to generate power from parts of their body other than their arms, thus reducing stress. “There’s more fluidity, more rhythm, it’s less mechanical. Normally, the windup is so you can get all your body parts moving. The last part may be the most revealing. What McClure’s saying, however indirectly, is that in spite of the fact that Valentine’s never been a pitcher and therefore can’t comment on the actual merits of a practice from an experiential perspective, he’s got a definitive opinion on the subject. Which might be fine, if he wasn’t so unequivocal. The real problem isn’t with the substance of Valentine’s pronouncements, but the unjustified confidence he has in them. It bears an uncomfortable resemblance, in fact, to Joe Kerrigan giving Manny Ramirez advice on hitting. Suffice it then to say that I share Chad’s concerns above: every time Valentine does something against the grain, I wonder what the source is. Genuine innovation, or Bobby Being Bobby, seeking attention. If the Red Sox are winning, I expect little friction or dissent: winning is the oil that makes the machine run smoothly. My worry is that if – when – the Red Sox hit a rough patch, that the combination of Valentine’s arrogance, short term focus and lack of self-control with the media will cause problems. Some of which may have long term implications, particularly those that relate to player development. I hope to be proven wrong about all of the above. Nothing would make me happier than for Bobby Valentine to make me eat crow by being exactly the fresh-thinking innovator the Red Sox need. Obviously I’m unconvinced, but the day will never come when I root against my team – their manager included. But none of his actions since taking the reins have persuaded me that he’s anything other than the wrong choice for this club. Is the Extra Wild Card Format Good for the Red Sox? First of all never be surprised when Ordway & Holley ballwash teams that their station broadcast. Secondly, everyone that has ever covered Bobby v's antics in New York would say that he's a master showman and a self proclaimed expert on anything. The jury is way out on this guy but it will be fun to watch.